First let me say, congratulations to Kendrick Meek who beat the living crap of the billionaire bully to win the Democratic primary for U.S. Senator. I'm confident he will beat the flip-flopper Charlie Crist and Republican nominee Marco Rubio and in the general election. Now I thought I was the only blogger/pundit that noticed the weak and tepid support President Obama gave to Meek's. But guess what, I'm not the only one who is checking out Obama and the White House's lack of support of black politicans. "President Barack Obama's tepid "support" of Florida Democratic Senate nominee Kendrick Meek has raised a few eyebrows — but only a very few. With Governor Charlie Crist (former R-turned-I-for-political-expediency-but-will-caucus-with-Dems-if-he-wins) capturing the silent Democratic backing (at least they've been hoping to keep it silent), Meek's chances seem slim at best. Obama needs every Democratic vote in the Senate he can get. Crist has a "better" chance in Florida than Meek — so what's a failing, flailing, desperate president to do? For the nation's first African-American president to offer anything less than full, enthusiastic, unequivocal support, assistance and endorsement of an African-American Democratic primary winner would be, or should be, big news. Huge news." I agree with her, I have been talking about this on my blog talk radio program for some time. I also agree that Meek is one of the worst-kept secrets in Washington and in the media. But it seems that Bill Clinton has no problem jumping on the bandwagon. 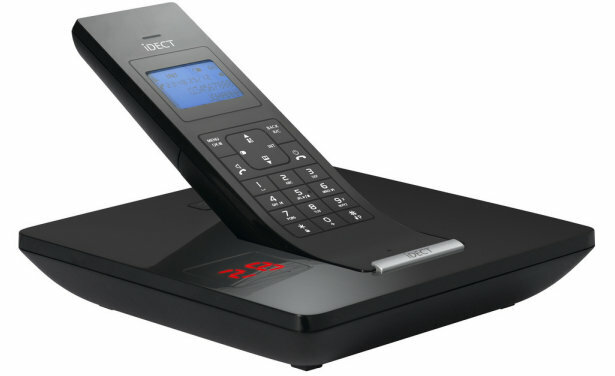 Now that Google has a new, free phone-calling option (http://gmail.com/call), I'm canceling my triple play phone service with my cable company. Yes, Google announced that American users of its Gmail Web service can now call numbers in the United States and Canada for free from within their browsers. Get this,calls to other countries will cost less than many traditional long-distance domestic calls: You could pay as little as 2 cents a minute to call Ireland, Korea, Argentina and many other countries. Yes, I'm cutting off my land line phone off to save some money. You may want to check Google's free Google Voice Service, I have had it for some time, and found it very useful. For more information, check out The Washington Post article on this same subject. I've been following how Post-Katrina investigations have been uncovering the many attacks on blacks by whites. Trymaine Lee at the Austin American-Statesman has been covering it as well. It's about time that these news outlets uncovered and told the real truth behind racial violence in New Orleans.‎ It's clear that New Orleans needs and deserves more federal aid, including aide in cleaning up the police department. I guess the bottom line is New Orleans continues to be a tale of two cities, one black one white. Yes, the Federal government, along with the Mississippi and Louisiana state governments conspired to keep blacks out from coming back to New Orleans and Mississippi after Katrina. The fact is, the affluent got most help in Katrina disaster. Affluent whites benefited more than poor blacks from programs meant to help Gulf Coast residents recover from Hurricane Katrina. "The recovery is really the tale of two recoveries," said James Perry, executive director of the Greater New Orleans Fair Housing Action Center. "For people who were well-off before the storm, they are more likely to be back in their homes, back in their jobs and to have access to good healthcare. For those who were poor or struggling to get by before the storm, the opposite is true." Oh, but it's not just me saying it folks, get this, a federal judge found this month Louisiana's program to distribute funds allocated following the 2005 hurricane discriminated against African-American homeowners. Now, let's see if President Barack Obama addresses how Federal funds were distributed and allocated following the 2005 hurricane. Let's see if he plans corrective actions, and shares them with the general public. When a Federal judge finds the Federal agencies failed in their oversight of Federal Funds, and state agencies discriminated against African-American homeowners, the President and his administration should address it, in a straight forward manner. I also hope that while the President is down in New Orleans, he will address the Health Care Crisis involving Katrina survivors. 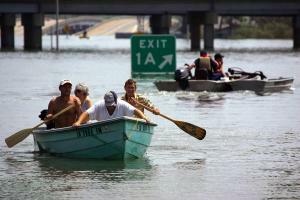 As reported by (UPI) -- Five years after Hurricane Katrina, child support systems -- parents, communities and schools -- are not yet functioning properly, U.S. researchers say. Researchers at the National Center for Disaster Preparedness at Columbia University's Mailman School of Public Health tracked more than 1,000 Gulf Coast families affected by Katrina. The study, published in the Journal of Disaster Management and Public Health Preparedness, finds one-third of the children displaced families have been clinically diagnosed with at least one mental health problem since Katrina -- behavioral and conduct disorders the most common. However, fewer than 50 percent of parents seeking needed mental health treatment have accessed professional services, nearly half of the households were still living in unstable conditions and 60 percent of respondents still reported their situation was unstable or worse than before Katrina. AAP: I know the President has much on his plate, but he needs to get his administration popping, on issues impacting our homeland, particularly the poor, and African Americans. Tell me it's not true! Tell me there was not a color aroused and race-obsessed study saying that blacks use cell phones the most. Well, it is true, and Kweli Wright over at madamenoire.com is on point about the newsflash about black people using cell phones more than white people. Get this, the report says; Black Americans rack up twice as many cell phone minutes as their white counterparts. 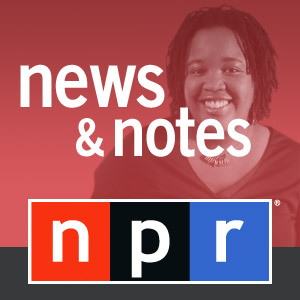 An analysis of cell phone bills by the Nielsen Co. found that the average African-American uses 1,331 talk minutes a month. The average white person, on the other hand, only goes through 647. The Caucasians aren't making up this difference through texting either, as they text an average of 566 messages a month, to blacks' 780. AAP says: I agree with Kweli Wright over at madamenoire.com - Yes, this is another bigoted, colored aroused study, and an attack on black women. You have to read this article in the NY Times. Classic political reporting from Michael BarBaro. Great job! H/T Faye Anderson, Citizen Journalist and publisher of the blog Anderson at Large for the link. At a tense and sometimes fiery candidates’ forum Monday night, Mr. Rangel shot back that it was not his dignity the president should be worried about. The unexpected eruption seemed to reflect the increasingly bitter relations between the embattled 20-term Democrat from Harlem and a president who is trying to protect his party’s prospects in a difficult midterm election season. 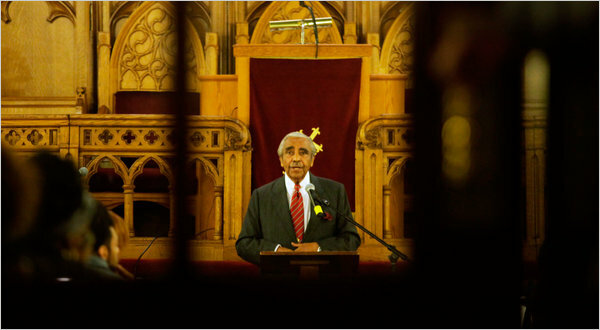 And it came during an uncomfortable evening for Mr. Rangel, who made a rare appearance with his five challengers and found himself facing harsh public attacks in front of his constituents at a Baptist church in the heart of his Harlem district. Long accustomed to being showered with praise and accolades, and surrounded by friendly crowds who treated him like a folk hero, Mr. Rangel could not escape the controversy that has shaped his re-election bid: the 13 charges of ethical violations issued against him by a House panel last month, including hoarding below-market apartments and improper fund-raising. “Four rent-controlled apartments. Four!” he yelled. “It’s a slap in the face to his community!” Mr. Powell thundered. Mr. Rangel, sitting a few feet away, fidgeted in his chair and fingered some papers, his eyes occasionally darting around the room. 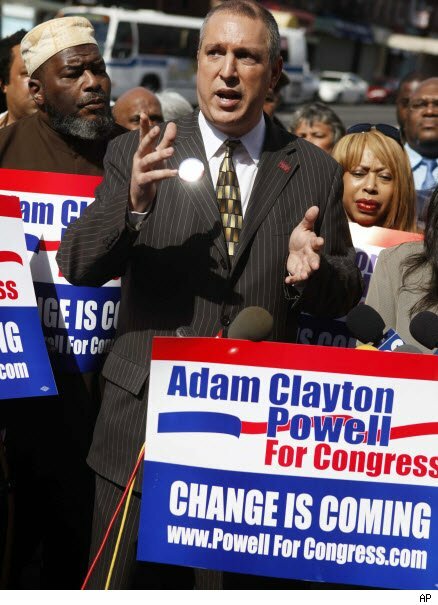 The candidates spoke in the sanctuary of the Convent Avenue Baptist Church in western Harlem. Organizers, including some tenants from Mr. Rangel’s apartment complex, appeared determined to tilt the evening in Mr. Rangel’s favor. They announced unusual rules, just minutes before the forum began, barring photography and videotaping of the forum, ensuring that any heated moments or slip-ups by Mr. Rangel would not turn up later in a rival’s political ads. The format for the forum, laid out days ago, had originally called for all the candidates to stand on stage at once, putting them on equal footing. But at the last minute, the organizers e-mailed each campaign with a “slight change”: Mr. Rangel would appear on his own, instead of sharing the podium with his challengers.